Gushing forcefully from a height of 1100 ft, Nohkalikai Falls holds the distinction of being the tallest plunge waterfalls in India. The water cascades down to plunge into a deep waterhole that looks enchanting with its aqua blue color, resembling a lagoon. 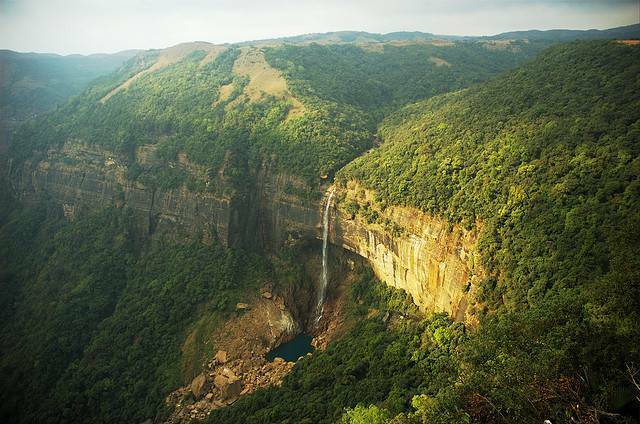 The waterfalls are located about 50 KMs from Shillong, and about 10 minutes drive from Cherrapunjee.